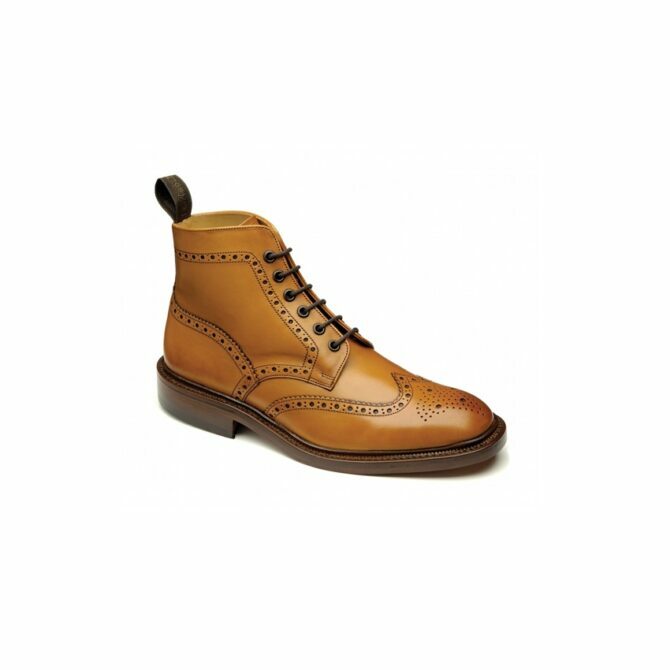 Loake 1880 Burford Tan Brogue Boot. This boot comes from Loake's premium 1880 range celebrating over 130 years in shoe manufacturing. High quality back calf, goodyear welted, leather sole and insole. A Premium brogue boot, made in England. This boot comes from Loake’s premium 1880 range celebrating over 130 years in shoe manufacturing.